Rent an RV and drive to California, “The Golden State”. California RV rentals are in high demand for so many reasons. One of the most popular camping spots for a California RV rental is the beach. Almost everyone enjoys sand, sun, and water, so who wouldn’t want to have a beach vacation along California’s 900 miles of coastline? Driving your RV rental through California is no chore. California RV rentals enjoy the most beautiful driving in the USA. Your California RV rental will pass by rivers, mountains, wildlife, valleys, vineyards, coastal vistas, and desert expanses. California is also the most multicultural state in the USA. One out of every eight residents in the USA lives in California. This fact alone may give the California RV adventurer a better idea of just how beautiful and diverse the state of California really is. The list of activities and attractions you can explore in your California RV rental is endless. Special events and festivals cover such things as art, film, music, wine, food, and sports. To top it all off, even children can’t get enough of a California RV rental vacation. The theme and amusement parks in California are the best in the world. Knott’s Berry Farm has the steepest, tallest, and wettest waterslide in the world. Disneyland is a classic family favorite RV rental vacation in California. See our RV rentals in California. The weather in Los Angeles often catches its visitors by surprise. The closer you get to the ocean, the cooler temperatures will be. Travel inland and you’ll feel the heat rise. In general, winter is mild and wet and summer is mildly hot and humid. Summer and fall are the best times to visit LA if you’re seeking out the California heat. Summer and fall are also the peak tourist seasons, so if you can handle a Los Angeles winter, you’ll reap the benefits of a more peaceful and affordable RV rental vacation in Los Angeles. Los Angeles has a reputation for being covered in smog. Nowadays, the smog in Los Angeles isn’t much different than any other city in the United States. The city has put forth a lot of effort to reduce smog over the last thirty years and air quality has improved drastically. For the cleanest air, take your Los Angeles RV rental anywhere along the coastline. After all, isn’t that what going to California is all about? What’s winter like in Los Angeles? It is extremely rare for Los Angeles to receive snow. Los Angeles winters consist mainly of rain. Rainfall in LA is 11.43 inches annually. The skies clear up beautifully when the rain stops. What should I pack? Bring water repellent items such as umbrellas, rubber boots, and rain jackets. A few sweaters and a coat would also be a good idea. Since the winter season tends to misbehave in Los Angeles, you should bring some light attire or layers for when the sun shines. What’s spring like in Los Angeles? The weather during winter sometimes blends into spring in Los Angeles. So, expect some rain and a little cold. For the most part, springtime is relatively sunny and brings less rain than winter. It may get a tad foggy. Spring is a very beautiful season for Los Angeles because of all the blooms. What should I pack? Rain gear and mid to lightweight clothing/attire. Layerable clothing works well for both spring and winter. What’s summer like in Los Angeles? Warm. Go to the beach to cool off. The temperature is noticeably cooler the closer you get to the ocean during the summer months. Los Angeles can get fairly smoggy in the summer but there are plenty of days filled with very clear skies as well. Evenings sometimes cool down depending on the fog. What should I pack? Lightweight clothing/attire (shorts, sandals, sunglasses, hats, sunscreen) and a few warmer items (in case the evenings cool down). What’s fall like in Los Angeles? Fall is most likely the favorite season of the year for LA locals. The temperature is usually not too hot, not too cold, and the skies are clear. Late fall is the prelude to winter so it will rain and cool off somewhere around the month of November. What should I pack? Bring both light and mid-weight clothing that are suitable for layering. Your summer clothing is still an option. Rain gear may also be required. So, basically, bring a little bit of everything without bringing anything too heavy. Los Angeles isn’t all movie stars and shopping. The professional sports scene is alive and well. While there isn’t a professional football team, Los Angeles takes great pride in basketball with two NBA (National Basketball Association) teams and one WNBA (Women’s National Basketball Association) team. No matter what time of the year you decide to rent an RV in Los Angeles, you’ll be able to catch a professional game. While the NBA (basketball) and NHL (hockey) seasons are on hiatus, the MLB (baseball) season resumes. Below we will list teams and information on professional and college sports in Los Angeles. The LA Lakers hold the record for the longest consecutive win streak in US professional team sports. The Los Angeles Clippers won their first NBA playoff game in 13 years during the 2005-2006 season. In 2001, the LA Sparks became the first WNBA team to go undefeated at home games for an entire season. From 1964 to 1975 (the UCLA Basketball Dynasty), the UCLA Bruins won 10 titles in 12 seasons. The USC Trojan’s men’s basketball team has more than 1,000 victories in college basketball. Unfortunately, Los Angeles hasn’t had a professional football team in the NFL since 1994. The UCLA Bruins football team was nicknamed “Gutty Little Bruins” in the 60s because of their small physical size being offset by their speed, determination, and teamwork. The USC Trojans and Notre Dame have had a rivalry since 1926. This rivalry is considered the greatest intersectional rivalry of all college athletics. The Angels were owned by Disney. Disney sold the Angels on May 15, 2003. During the 2006 season, making it the fourth time in baseball history and the first time the final home run tied the game, four home runs were scored by the Dodgers in the ninth inning. Jackie Robinson Stadium is named after a former Bruins baseball player, Jackie Robinson. Dedeaux Field is named after the Trojans’ legendary baseball coach, Rod Dedeaux, who coached the team from 1942 to 1986. The LA Kings were transformed into a top NHL team after they successfully acquired Wayne Gretzky in 1988. Canadians were deeply disappointed by this trade. Gretzky was considered the NHL’s best player. Disney originally owned the “Mighty Ducks of Anaheim”. The Ducks’ original name came from the movie, The Mighty Ducks. Their name was officially changed to Anaheim Ducks in January of 2006. Major League Soccer began play in 1996 and the Los Angeles Galaxy are one of ten founding members. Chivas USA is mostly made up of Latin players. The team’s main language is Spanish. The Drake Stadium has been home to the UCLA soccer teams since 1969. It was revamped in 1999 at a cost of $1.5 million which was made possible by Frank Marshall and Kathleen Kennedy. The field is called Frank W. Marshall Field. Marshall has been a fan of UCLA soccer for a long time and was a member of the men’s team in 1967. Jim Millinder took over coaching in 1996, resulting in the Trojans making it to the NCAA tournament seven times. Los Angeles is bursting with recreational activities to enjoy during your RV rental vacation because of its warm climate and famous beaches. These beaches include the Malibu, Santa Monica, Venice, and Redondo beaches. Winter activities such as skiing and snowboarding are also available not far away at the San Gabriel, San Bernardino, and San Jacinto mountains. Here we will list some of the more popular outdoor and leisure activities people enjoy in Los Angeles. 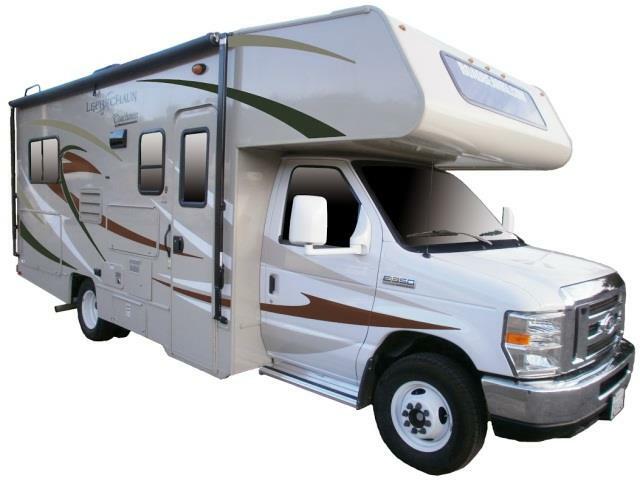 Bikes and carriers are available for rent with most Los Angeles RV rentals. Book an RV rental in Los Angeles. Los Angeles is full of entertainment, popular theme parks, and movie magic to experience on your RV rental vacation. Los Angeles may not seem like the ideal place to enjoy a relaxing RV rental vacation, however, it doesn’t take long to find the perfect place to park your RV. We wanted to find you the most suitable RV parks, resorts, and campgrounds in and around the Los Angeles area. All campgrounds shown on this page are within 50 miles of Los Angeles, California. Store with bait, sportsmen needs, video rentals, ATM, fax machine, mailboxes, etc.